Since the Great Recession began, the American Dream has been a distant memory. It's still off in the distance, but it's starting to come into focus. That's because the US economy is finally accelerating. 1. More people are getting jobs. The job situation has improved dramatically in the past year, with headline unemployment dropping from 7.2% in October 2013 to 5.6% in December. (For some perspective, consider that the current unemployment rate is lower than the long-term average since 1948 of 5.8% and is roughly half the euro zone jobless rate of 11.5%). Monthly non-farm job creation has been above the 200,000 level for almost a year. And those out of work for 27 weeks or more -- what I call the "persistently unemployed" -- have fallen as a percentage of overall unemployed, from 35.9% in October 2013 to 31.9% in December 2014. And the quality of employment is starting to improve. 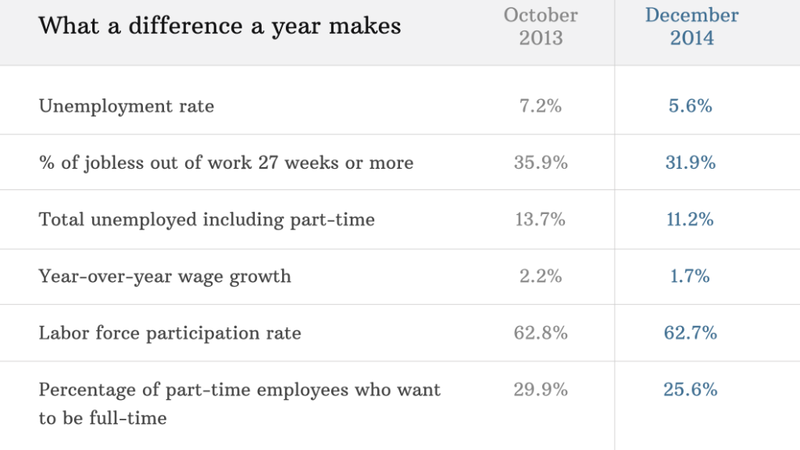 For example, the percentage of part-time employees who want full-time work but can't find it has dropped from 29.9% to 25.6%. One area where we have yet to see improvement is wage growth. However, lower oil prices are acting as a big pay increase right now for consumers. 2. Americans have gotten their balance sheets in order. Overall consumer sentiment recently hit highs we haven't seen since early in 2007. And lower income consumer confidence is finally rising substantially as well, with the December Conference Board survey of low-income consumer confidence swelling a very substantial 12 points. But what is going to turn improved sentiment into actual spending? Necessity. Many Americans have foregone purchases for years. Consumer durable goods owned by Americans are very old by historical standards. So there's a need to buy, along with an ability and desire to buy. The inequality problem: Many Americans haven't participated in the recovery since it began -- and there's actually been an increase in economic inequality over the past six years. A significant reason for inequality is that US monetary policy primarily affected stock prices, driving them higher at the same time many Americans exited from stocks because of the environment of fear that gripped the nation. But the consumer is finally recovering -- and is a coiled spring. 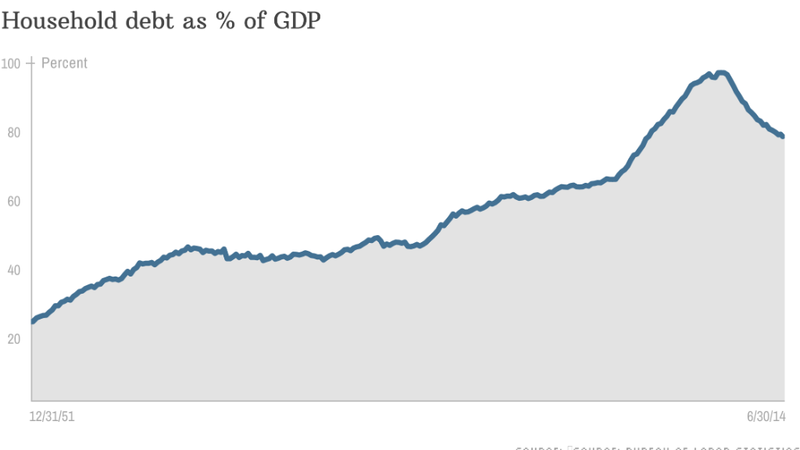 As more Americans go back to work and spend more, it will boost the economy even faster. 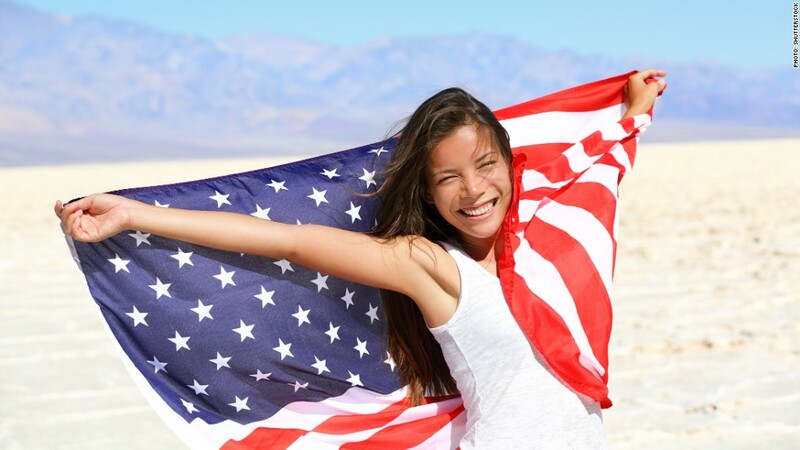 All this, combined with the indomitable American spirit -- which was beaten but not broken in the Great Recession -- should combine to help the United States move forward in 2015. 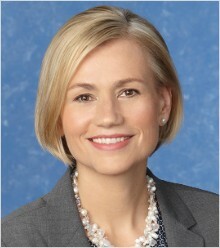 Kristina Hooper is US Investment Strategist for Allianz Global Investors.